Yesterday marked the return of Birding Tours to for the fall season. Held every Thursday from 8am to 9am through October 23, these tours are a great way to start off your day and prove that the early bird really does get the worm. As always, the tours are led by the talented Gabriel Willow of NYC Audubon. Look out for Gabriel's upcoming guest posts on our blog. To read previous posts by Gabriel, click here. We'll keep updating the blow list of sightings so you can see the diversity of species spotted in the park. 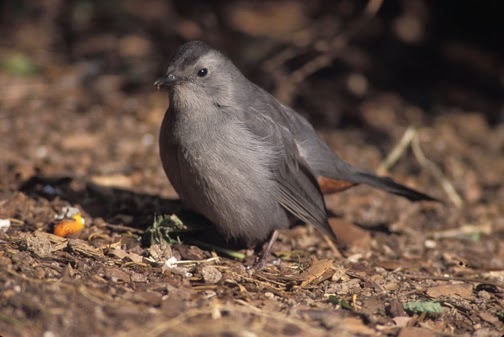 Gray catbirds, like the one pictured above, can be found during our Fall Birding Tours.